I asked my hubby to come up with an affordable Yarn buddy or yarn lazy susan and he did it! I have wanted one forever but they were always very high priced. His is made of pine to be lightweight but durable and has a lazy susan base so it turns the yarn for you while you crochet. No more flipping yarn over or having it roll on the floor! Works with both large and small skeins of yarn. Thanks so much Jill. I am blessed to have a very talented husband! 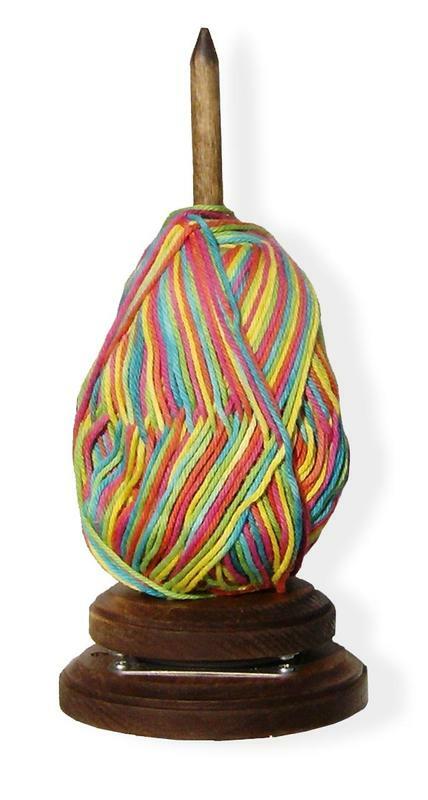 Your husband's yarn tamer is wonderful! Hes working on making some double and quadruple for people like me that crochet or knit with several different colors at one time. I cannot wait as I crochet a lot of hats that use several colors. I told him to hurry up.